« Dolfans NYC Draft Video! This entry was posted on Wednesday, June 12th, 2013 at 5:55 pm	and is filed under Events. You can follow any responses to this entry through the RSS 2.0 feed. Both comments and pings are currently closed. My name is Thomas Cooper I’ve been a diehard Phins fan since the age of 5 I’m from Ohio it’s been a dream of mine to attend a Phins game in NYC I’m hoping you put my name on the list I’m gonna scrape the $ together and live the dream I just read 3rd and long is closing I feel sad for NYC Phins fans thx you for creating this god bless you and Phins Up!! Is there an option to participate in tailgate w/o the bus ride. What is the location of the tailgate since I will be driving myself. Do you offer an option for tickets and tailgate but not bus ride? If not how far is Third and Long from Grand Central? Ed, yes we are going to offer that but we don’t have the exact price yet. I am sure it will be in the $10-$20 range but we have to figure that out. Unfortunately Third & Long is closing the doors but our new place is a 10 minute walk from Grand Central. More news on our new bar soon! Is this still going down? Tickets left? Yeah. 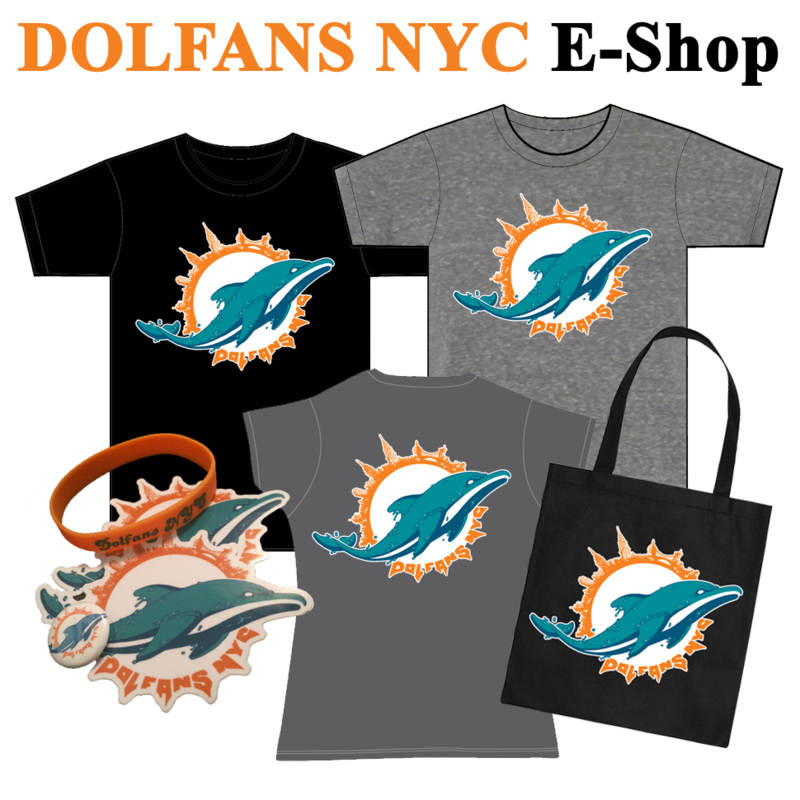 Email dolfansnyc@gmail.com for info. Did you come up with a cost if someone wants to tailgate but not take the bus? Unfortunately the tailgate is full. We had way too many people sign up and we cant manage more than 300 people. Just bring your own stuff and set up shop next to us!